Cruising the Eastern Mediterranean on a crewed yacht charter is one of life’s greatest pleasures. Whether you’re floating through landscapes of windmills and olive groves on a Greece yacht charter, or partying in a glamorous Hvar beach club on a Croatia yacht charter, the islands of the Eastern Mediterranean privilege discovery by yacht, with a discreet and professional crew on hand to ensure the most memorable of experiences. On a Greece yacht charter, the first question must be: which of the Greek archipelagos do you want to explore? Shall it be the Cyclades, with its heartbreaking Santorini sunsets and A-list Mykonos parties, or perhaps the Ionian island chain, with the spectacular Shipwreck Beach on Zakynthos, Corfu’s Venetian palaces, and the ancient olive groves of Ithaca? Or perhaps you’d like to venture down the Peloponnesian coast from the bustling city of Athens to the Saronic islands, where Hydra and Poros attract the superyacht set, or out further into the wild and timeless Dodecanese with its pine forested mountains and tranquil coves. The Aegean islands also beckon the wild at heart with a lush and quiet beauty, while the popular Northern Sporades offer gorgeous beaches by day and wild parties by night. Wherever you end up on a Greece yacht charter, you’ll find each day a glorious adventure- waking up to a sumptuous breakfast buffet freshly prepared by the yacht’s chef, swimming off the back of the yacht or enjoying onboard toys such as Jet ski’s and inflatables in turquoise waters, eating fresh seafood in beachside tavernas, and strolling through whitewashed villages with Aegean-blue doors. Float through blue grottos, dive with turtles and monk seals, and explore ancient temples that are crumbling into the dust, before watching another mesmorising sunset on the yacht’s aft-deck, with a glass of finest Champagne in hand. 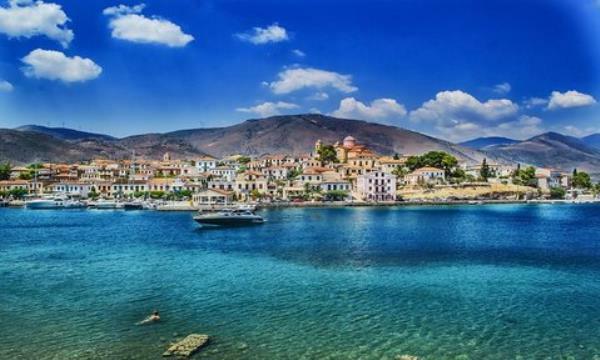 All of this and more is waiting when you discover the Greek Islands on a luxury yacht charter. Of the thousand islands of the Adriatic, none are more famous than the Dalmatian islands, and there’s no better way to explore them than with a Croatia yacht charter. You might start your charter in Dubrovnik, that magnificent walled city that towers over the sea, its ramparts, winding alleys and exotic gardens the film set of TV show Game of Thrones. 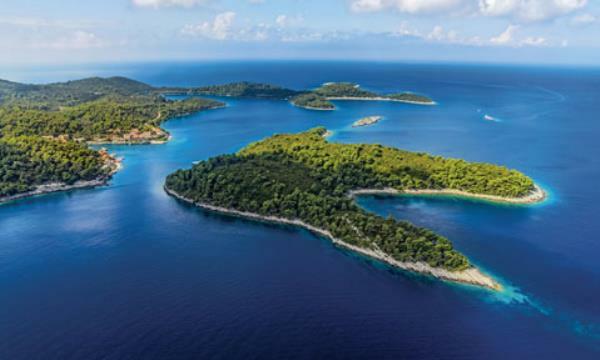 Then it’s out to Mljet, a dreamy pine-forested isle with its twin lakes and monastery, before cruising to Hvar, famous for its glamorous nightlife, A-list beach clubs, and pretty lavender fields. Mountainous Brac stuns with its iconic shapeshifting beach at Bol, while Vis promises its haunting abandoned submarine pens and eerie shipwrecks that the yacht’s professional dive can help you discover. Korcula cannot fail to charm with its ‘mini Dubrovnik’ capital, fine beaches, and excellent vineyards, and your charter will return to the mainland at Split, the site of Diocletian’s Palace, where city life still thrives inside its 2000-year-old walls. From dropping anchor in secluded islets only your yacht Captain knows, to rejuvenating mornings spent practicing yoga on deck or relaxing afternoons in the sundeck Jacuzzi before the tender drops you ashore to explore waterfront villages steeped in charm and history, to discover Croatia by a crewed yacht charter is to explore one of the great cruising grounds of the world while immersed in total luxury. With thousands of islands to explore in Greece and Croatia, the Eastern Mediterranean promises a beguiling mix of the ancient and the modern, the glamorous and the deliciously rustic. So where will it be on your next crewed yacht charter?